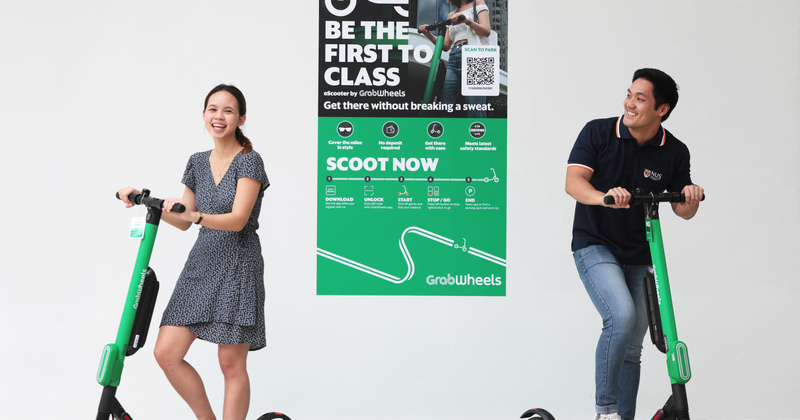 Grab’s innovation arm, Grab Ventures, has just announced that it has collaborated with the National University of Singapore (NUS) to introduce an e-scooter sharing service, ‘GrabWheels’, on the NUS Kent Ridge campus. The 3-month trial started on 19 November, and e-scooters are deployed across 8 parking stations on campus. The number of parking locations will be increased progressively to 30 by the end of December this year. GrabWheels marks the first time that the new shared active mobility app is being tested in Singapore. To use the e-scooters around campus, users will need to download the GrabWheels Beta app and link it to the main Grab app to set up the application. As for the rates to use it, users will pay a special price of $0.20 for every 30 minutes of use during the pilot period. Fees can be paid using GrabPay, and they will receive 5x GrabRewards Points for every dollar spent. All rides also include insurance coverage, at no additional cost. The Grab operations team will then collect all the e-scooters every evening, recharge them, and return them back to the parking locations the next day. According to the press release, the e-scooter model used in the pilot programme meets the set of rules stipulated under the Active Mobility Act for use on public paths, and also meets the UL2272 fire safety standard. 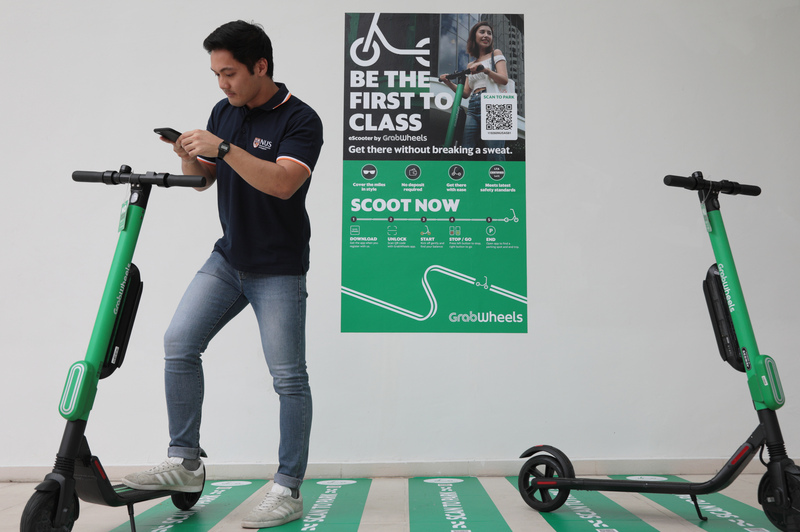 As part of the trial, Grab and NUS will use the data collected to study patterns of “how commuters utilise the shared e-scooters, to gain insights into how e-scooters can help address transportation needs on campus”. So will the rest of us be able to enjoy an e-scooter sharing service then? GrabWheels Beta will roll out progressively to more venue-partners’ locations islandwide from late December 2018. We plan to apply for the PMD-sharing licence next January when the application exercise opens, and hope to get the opportunity to work closely with LTA to expand the GrabWheels Beta service to public areas. Will e-scooter sharing be the new bike sharing in 2019?